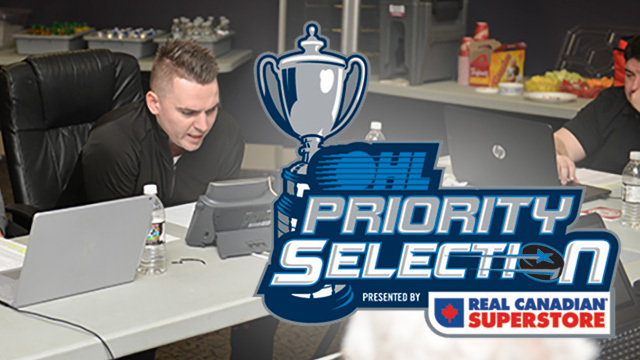 Tomorrow morning (Saturday, April 6) signals the start of the 2019 Ontario Hockey League Priority Selection presented by Real Canadian Superstore. The online event will begin at 9 AM. 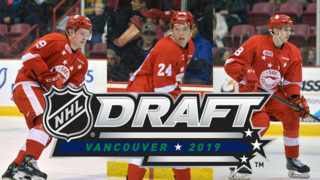 This year’s event sees the Soo Greyhounds hold fourteen (14) picks in the fifteen round draft as they select the newest members of The Program. They will start off the day with the 18th overall pick in the first round before holding the 17th pick in each subsequent round except Round 2, where they have no selection. One year ago, the Hounds began the draft by selecting defenceman RYAN O’ROURKE from the Vaughan Kings Minor Midget Hockey Club. 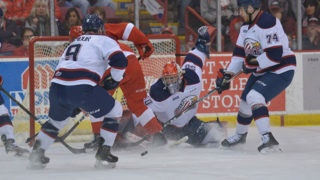 The now 6.02, 175-lb rearguard finished off this past regular season appearing in 62 of the team’s 68 games where he had 8 goals and 14 assists, good for 22 points. 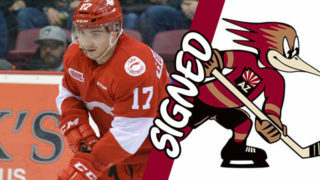 He has 1 assist so far in the 2019 OHL Playoffs. 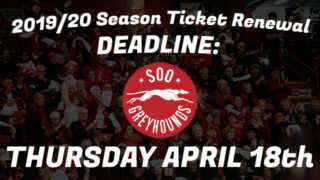 For the 2019 event, you can follow all the progress of the draft here on soogreyhounds.com along with on our social media networks on Facebook and Twitter. For the twelfth straight year, media and fans can watch the first three rounds live on the OHL Priority Selection Draft Show at ontariohockeyleague.com beginning at 9:00 am on Saturday. 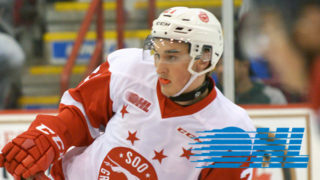 Host Terry Doyle will be joined on set by Darrell Woodley and Tim Cherry of OHL Central Scouting to provide analysis, interviews, and video footage of the next wave of OHL stars. Click here to access the Draft Show page. 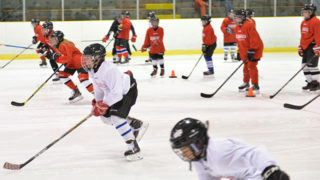 The complete order of selection will be finalized shortly following the league’s trade deadline at Friday April 5, 2019, at 3:00 pm. The Live Results page, created in partnership with HockeyTech, is formatted to respond to mobile and tablet users and provides sorting capabilities by team, position, league, etc. Click here to access the Live results page.